The room darkening blind can convert day into night excluding even the brightest sunlight, which makes it perfect for rooms that require room darkening such as bedrooms or TV/entertainment rooms. Perfect for afternoon siestas and light summer nights. 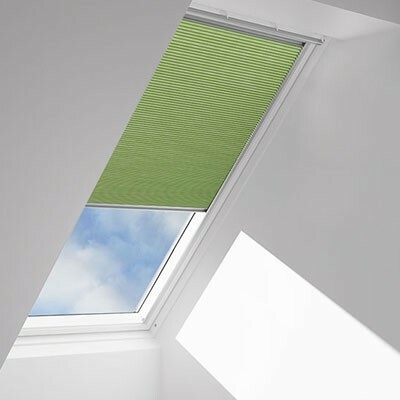 If you choose a VELUX room darkening blind, you will enjoy room darkening plus optimal heat protection. Maximum light blocking - tight design and light blocking fabric block sunlight. The room darkening blind has an energy efficient aluminum coating on the exterior side that acts as a heat barrier, increasing energy efficiency up to 20% and reducing your heating and cooling costs due to the better natural climate control in your room.